Everest Learning is a bespoke approach to learning and teaching designed to engage and accelerate the progress made by our students. The current areas of focus are questioning in the classroom, differentiating tasks and supporting outcomes. A huge part of Everest Learning is our collaborative approach to the development of learning across the school. 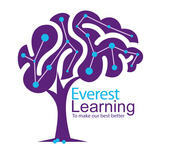 Initiatives led and supported by our staff include the Everest Learning Team, teacher duos and the FIT working party. All of the staff involved are fully committed to the development of learning at Everest which will in turn lead to the continued and sustained improvement of our students’ academic progress.